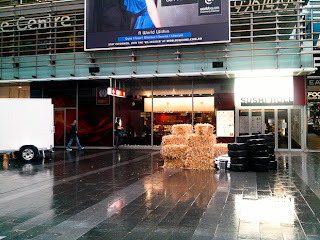 Seven In Sydney: Sometimes it's better to worry about what might not happen rather than what might. Sometimes it's better to worry about what might not happen rather than what might. What's the hardest part about street photography? Here's a hint: it's got nothing to do with photography. It's about realising you're one person on a tiny planet in the middle of nowhere who, in the grand scheme of things and relative to the infinite duration of time, won't matter and won't be remembered as that strange person on the street. It's strange, trying to let go of years' worth of worry about how others see and perceive you and it's certainly something I want to do. I frequently just call it not giving two f**cks, not in an arrogant way, but knowing that sometimes you can't and shouldn't need to change someone's opinion of you. Something to think about while standing on a street corner. Soon after I got back in from Japan I went to a Japanese popular culture festival. Go figure. I got off the plane and marched right in. I was dead tired. 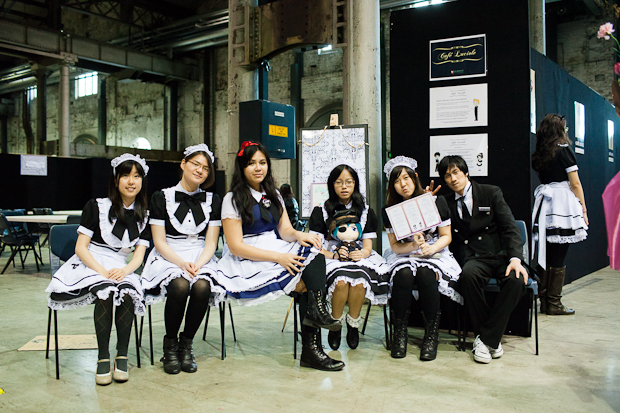 Here are some of the lovely maids at their cafe. The idea is you get treated like the man (or woman) of the house. They're meant to make your stay enjoyable. How anyone actually needs to feel even more welcomed in Japan is beyond me, but it's part of their culture. I'm not the type that enjoys this sort of thing, but admittedly it's fun to joke around with the maids and butlers since they're all in it for the fun. Mr Puddles is not your typical cat. Actually, no cat is really typical. I've never met two similar cats now that I think of it. Well, we gave him a paper bag to crawl in. Sometimes he gets the "crazies" and wants to be "hunter kitty". He'll hide under things and dart out when he thinks you don't know he's there. 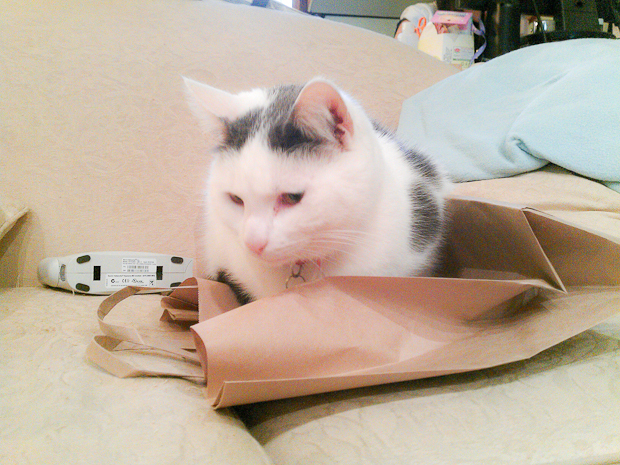 Well, he apparently wasn't in the mood and decided the bag was better to sit on. Other strange habits? Licking plastic bags. Randomly falling over on one area of the floor. Chirping whenever he sees birds. He's not a companion cat. He's more like the cat of the house... and we're the maids. 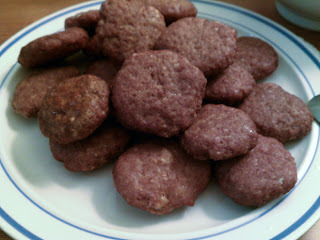 They aren't cookies. They're meat patties. The little ones work better. They cook faster and you can stick 'em in bread sammiches. Yes, that's a technical term. It was raining earlier last week and I have no idea what they were trying to set up here. 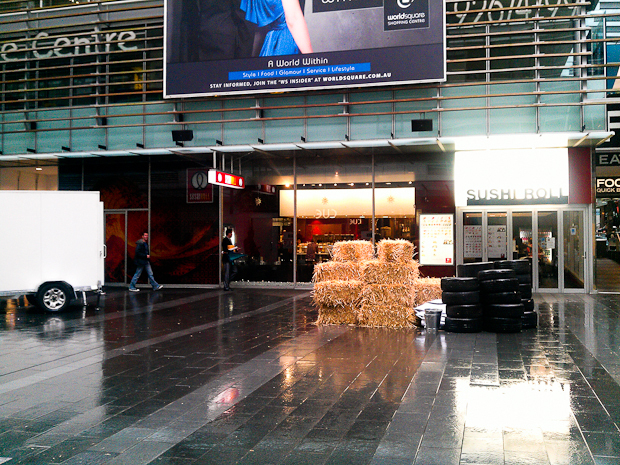 There are bales of hay and some tyres. A car racing a horse? A horse pit stop? I don't know. I felt bad for the one guy who was trying to sweep up all the hay that was blowing around in the wind. A futile job, but then it's just like any one of ours in the grand scheme of things. A friday afternoon. 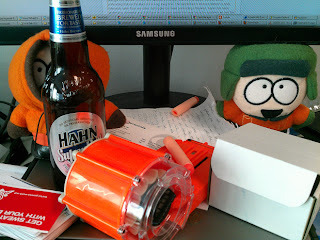 South Park, nerf blaster magazine, beer. Work hard and play hard. The giant penguin I used to shoot has been moved though, so I'm not even sure what to shoot at now. Might take to people soon. I often don't appreciate it much. I can't remember the last time I went up the tower to see the view. We're really spoilt for choice, aren't we? 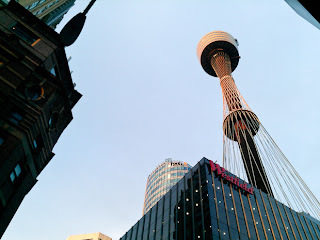 Eat at the tower, climb the bridge for exercise, settle at the Opera House for entertainment and evening drinks. It's on the way to the gym. Gym? What's this gym thing? What a horrible concept. Well, I'm doing it finally and my first gym experience has been a pretty good one. Aside from the constant aching. Again, the futility of it all is a bit amusing to me. Move that weight! Move it! Up and down! I wonder if we could have put that power into something else. Or is that the kid engineer in me seeing wasted energy? I was pretty amused by this. Probably more than I should be, and probably in a much more geeky way than is needed. 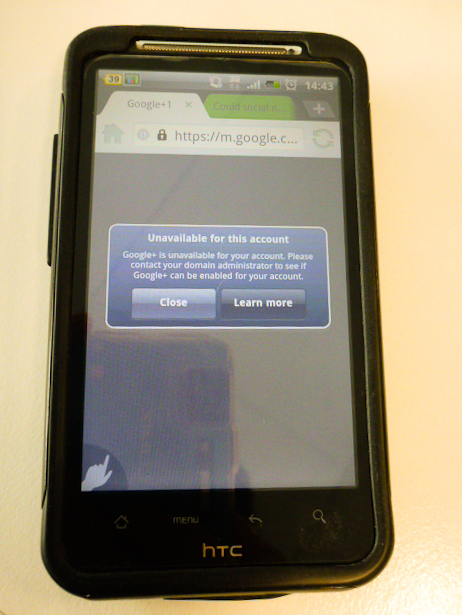 Google doesn't have Google+ support for Google Apps yet, but if you try to log in on a mobile platform, it displays this dialog box. Only, I don't use an iPhone, so I have no idea why it looks like an iPhone dialog box. Favouritism? Sure looks weird on my phone.